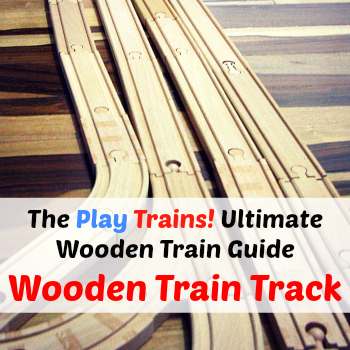 One of the first things I wanted to add to our initial wooden train set was a wooden train roundhouse. Initially, the Little Engineer just really enjoyed putting the engines in and out of the roundhouse and opening and closing the doors. 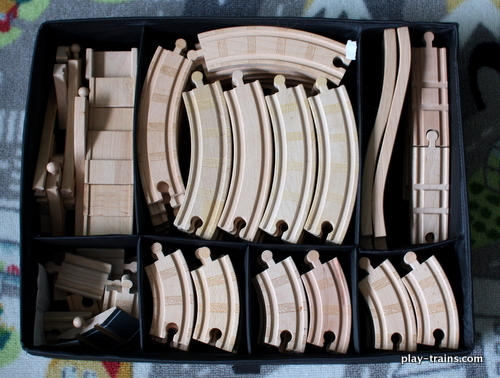 But as time went on, our roundhouse added so much more for him to pretend and practice with his wooden trains. 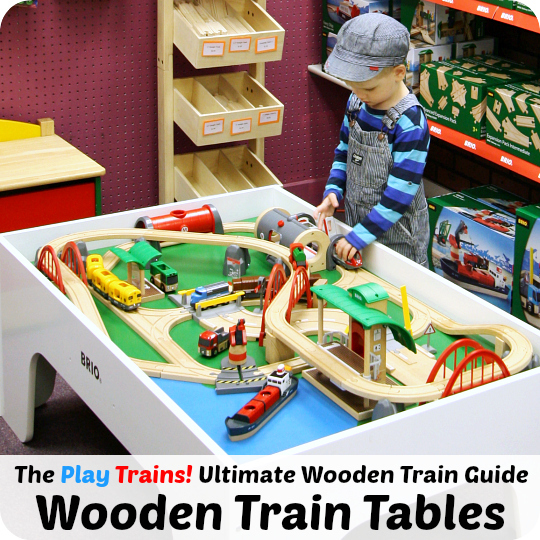 Do You Need a Train Table? 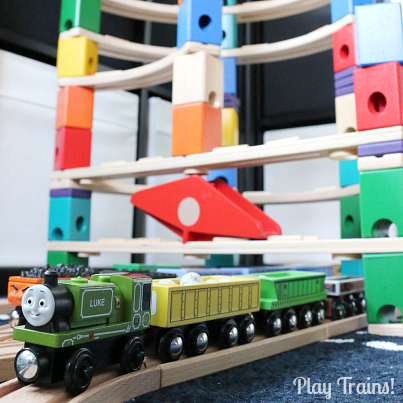 Engine sheds add the important idea of rest to train play, which was really helpful with getting the Little Engineer to understand why he had to sleep at night back when he was a toddler. We told him about how the engines needed to rest after a hard work, played it out with the roundhouse, and later compared his body to an engine. When the engines’ imaginary morning came, we could play out getting started with the day, another important transition to practice. 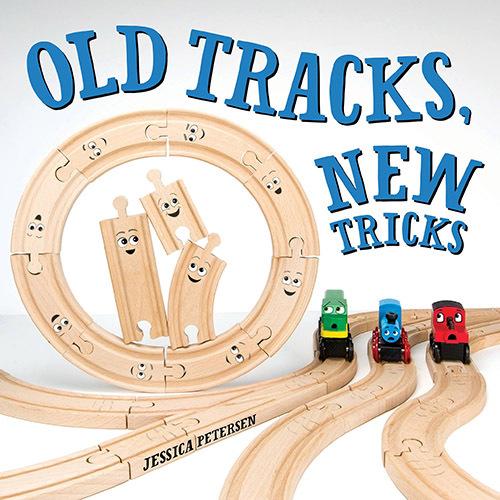 If you have a roundhouse or an engine shed with more than one stall, having multiple engines resting or “waking up” together adds new possibilities for practicing social interaction with the trains or their drivers. 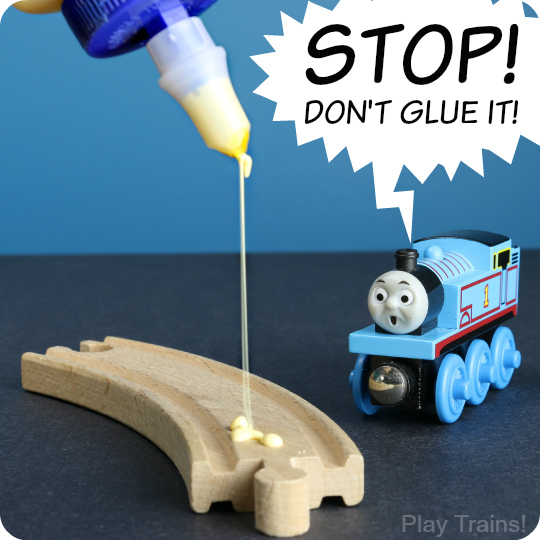 If you watch Thomas & Friends, you’ll often see the engines talking to each other at the sheds, or receiving orders from Sir Topham, and that can be a fun addition to the stories a child tells during train play. 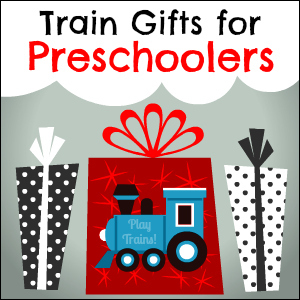 If your train-loving child has a hard time leaving his or her trains when it’s time to go to bed at night, or just needs a soothing activity to prepare for sleep, try having your child put engines to “sleep” in their shed, saying goodnight to each one and closing the doors. 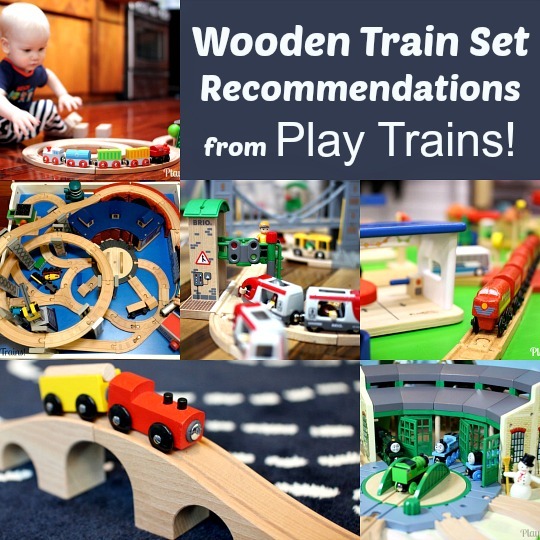 Here are the best wooden train roundhouses and engine sheds I know about that are currently available. Products with their names in bold are ones we have hands-on experience with. This post contains affiliate links to other websites. If you click on one, we will receive a small commission — at no additional cost to you — on anything you buy at those sites for a certain length of time afterwards. Read our disclosure policy for more details. 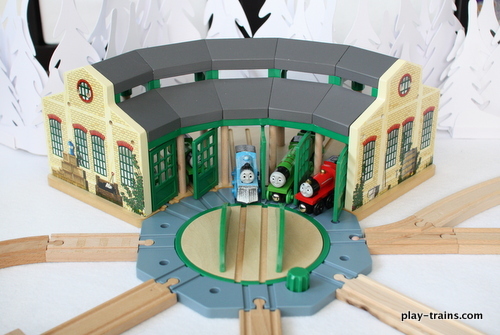 Deluxe Roundhouse (Thomas): Thomas Wooden Railway also produces a deluxe roundhouse. With red brick instead of pale yellow, it doesn’t look like Tidmouth Sheds, which may be a good thing or a bad thing depending on the situation. It has more bells and whistles that look fun, though not really necessary. 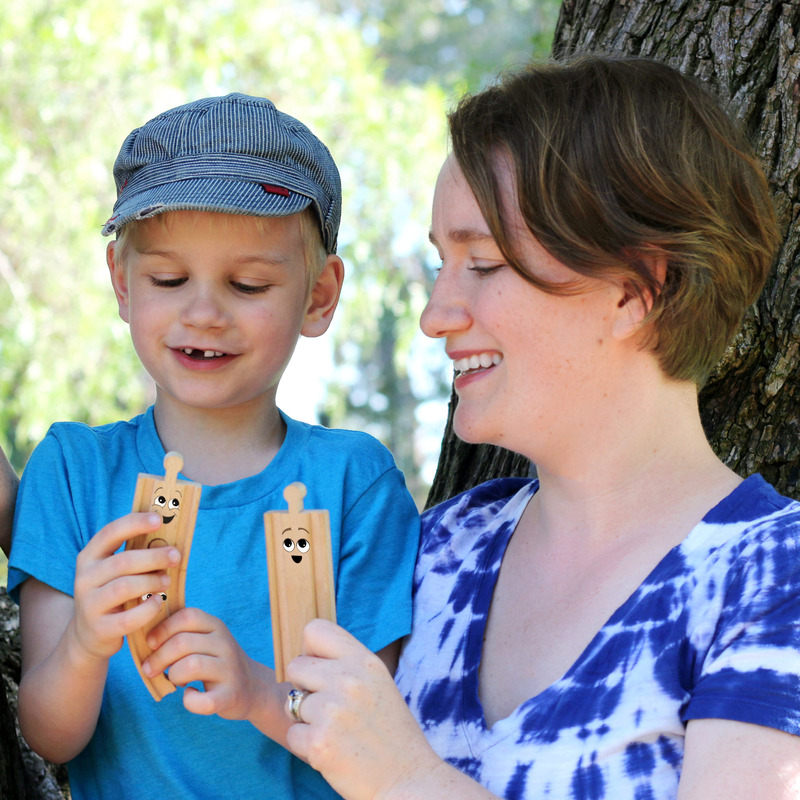 Flinders Shed (Bigjigs): This is an unusual shed from Bigjigs. It’s very long, which would be great for accommodating a longer engine or a train of a few cars (I’m not quite sure how long it is, but it looks like it would hold a small engine and two or so cars). 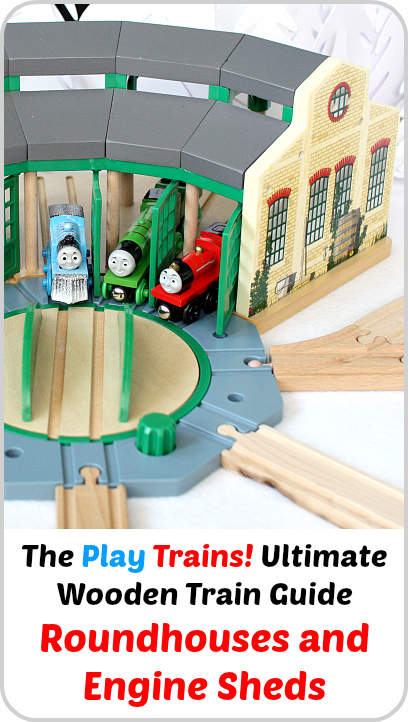 Five-Way Engine Shed (Bigjigs): This is Bigjigs’ large roundhouse. It has a lot of cute, interactive details to it for taking care of the engines that “live” there, and I would love to have it if we didn’t already have two large roundhouses! 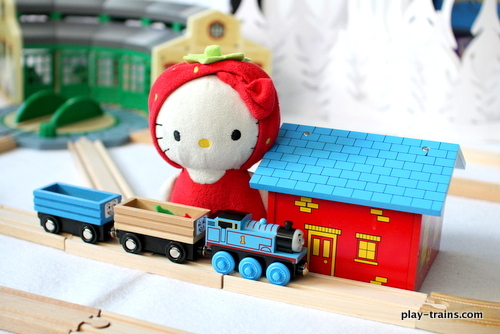 Nuchi Big Red Train Barn: Another cute roundhouse option from a good brand. 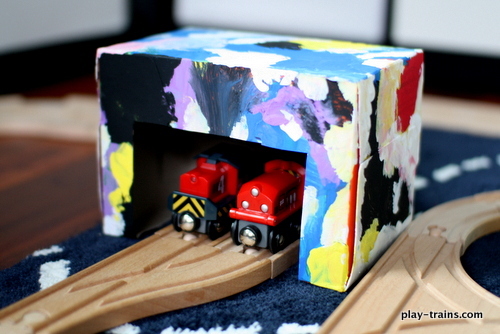 Train Garage (BRIO): Here’s something a little different, a little more modern, from Brio. 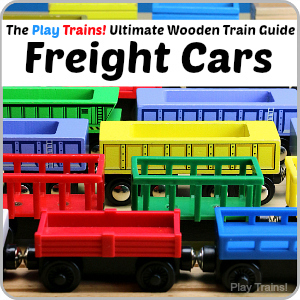 Perhaps this would be a good one if your child’s favorite train is a diesel or electric engine, or if the rest of your set is Brio. 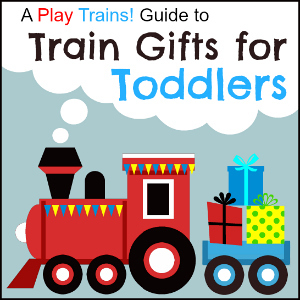 Sets that include a roundhouse or train shed: Freight Train Set (Bigjigs), Fairy Town Train Set (Bigjigs), and Imaginarium train table sets usually come with a roundhouse of some sort. 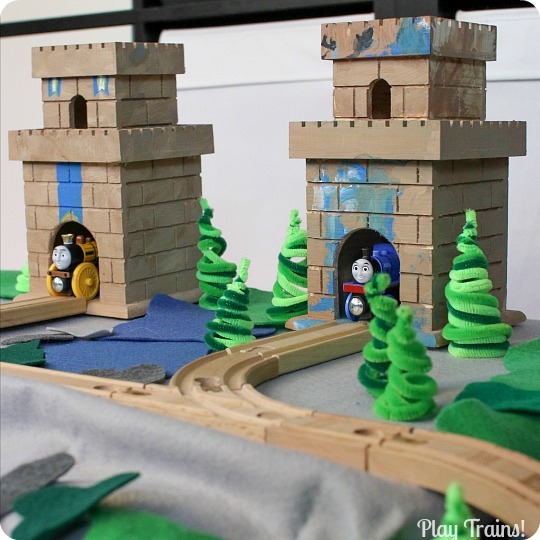 We made a kid-painted engine shed out of a recycled dryer sheet box, and these wooden castles we adapted to connect to wooden train tracks to go with King of the Railway also serve as one-engine train sheds. 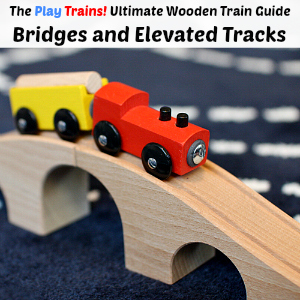 This guide will be expanded with time. Have a question I didn’t answer? Ask in the comments below, or by email! 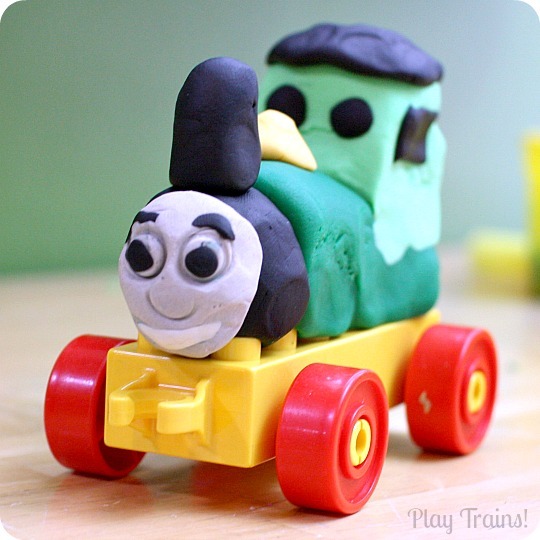 Sign up for More Train Fun!